William Albert Powell was born on 15 May 1860 in Chippendale, NSW, son of William Powell and Martha Tilbrook. He married Emma Cuthbert (1864-1939) on 7 June 1881 in Waterloo and they had a son (Harold). William Albert Powell died on 29 January 1940 at his residence ’Gladroy’ 64 Howard Avenue, Dee Why, NSW, aged 79 years and he was cremated at Northern Suburbs Crematorium. He left a Will and his estate and assets were assessed at £504. William Albert Powell lived at 91and 135 Botany Road, Waterloo (1910). His father William Powell was also an alderman on Waterloo Council. William Albert Powell was a justice of the peace (JP). 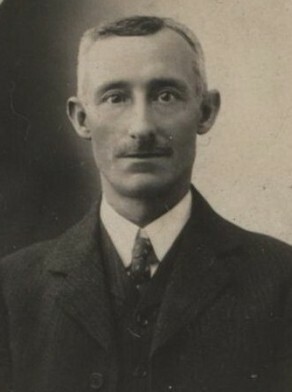 Powell as Mayor gave evidence in 1910 on the Royal Commission into the improvement of the City and its suburbs. On Empire Day 1910 Powell delivered a patriotic homily to the children of Waterloo Public School. William Albert Powell was an alderman on Waterloo Council in 1904-22 representing West Ward. He was mayor in 1910 and 1913.